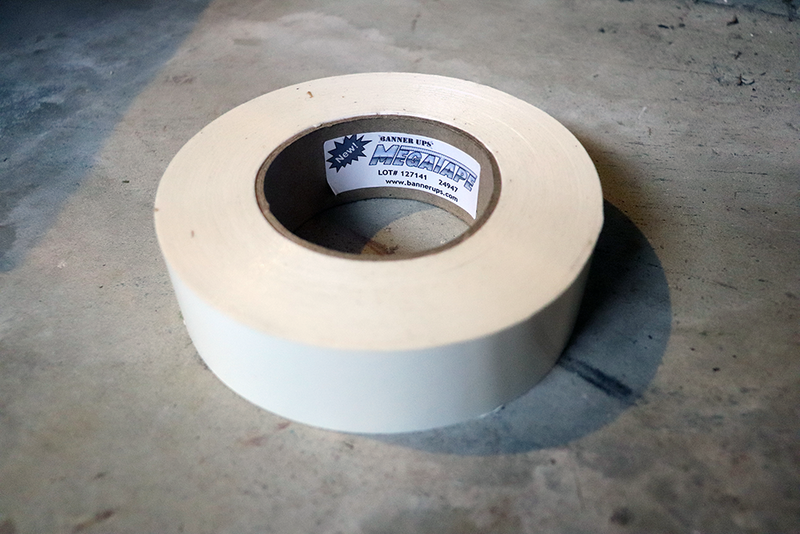 Banner Ups Clear MegaTape is a super strong double sided banner reinforcement tape. Make your banners withstand high winds with MegaTape. MegaTape is wind tunnel tested up to 108MPH! These closeout rolls are heavily discounted and have been used for trade show display purposes. Some rolls are short and might have adhesive buildup on sides of rolls.